Come Craft a Scene with us as! There will be monthly challenges and weekly samples. All Stampscapes images are used by permission. Christmas is just two days away and we are already celebrating. Thank you to everyone who has entered the challenge. We will be around to finish commenting soon. This challenge goes until January 3rd, so you even have time after Christmas to enter. When you enter the challenge please make sure you meet the minimum criteria for a scene! If you wish to skip to the challenge, click here. The Tri-shutter card is a stretch for some , but you should give it a try as a personal challenge. I have a brief tutorial on my blog and you can also find instructions at Split Coast Stampers. Here is our inspiration that will last for the remainder of the challenge period. You may enter up to 3 times and as many challenges as you wish. If you do not have a blog or account on Split Coast Stampers, then just email me a picture of the piece and I will add it to one of our posts. If you are not sure what constitutes a scenic project, check out the information here. Don't forget to add GDT to your link if you wish to be considered for a guest spot. We would love to hear from you. Please email us with your questions and suggestions. 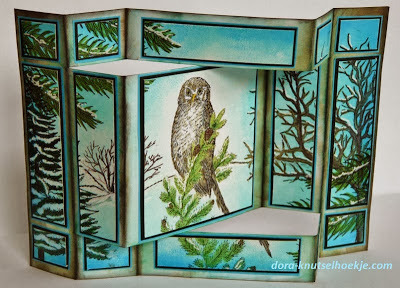 This is a special focus challenge blog that provides an opportunity for paper craft designers to showcase their scenic crafting. We especially love Stampscapes, Sutter and Beeswax stamps and will showcase techniques and tutorials using these wonderful stamps. 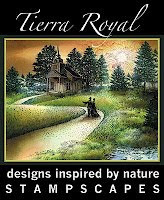 However, there are lots of companies that provide images for background scenes and it is okay to use any of them. You may also draw or paint in your own scene background. As long as your project is finished (no ATCs or unfinished cards), and has background AND foreground images you meet the first challenge criteria. 1. Have fun and make a new finished project. No back-linking! Your project must be completed whether it is a card, box, tag, scrapbook page or whatever (no ATC's or unmounted sheets). 2. You may create and enter up to three projects for each challenge. 3. Your project must have a scene! This means there are background AND foreground elements. We are focused on the scene not cute characters. 4. Follow any additional challenge criteria for the month. 5. You must link back to this blog in your post. Please become a follower and add our badge to your blog. If you do not have a blog you may link from private forums like Split Coast Stampers or Crafters Cafe, or send me a picture of your project and I will add it to the challenge. Become a follower and get all the latest news from Craft a Scene! Craft a Scene Trees Challenge Winners!